Time for another FBB DIY! 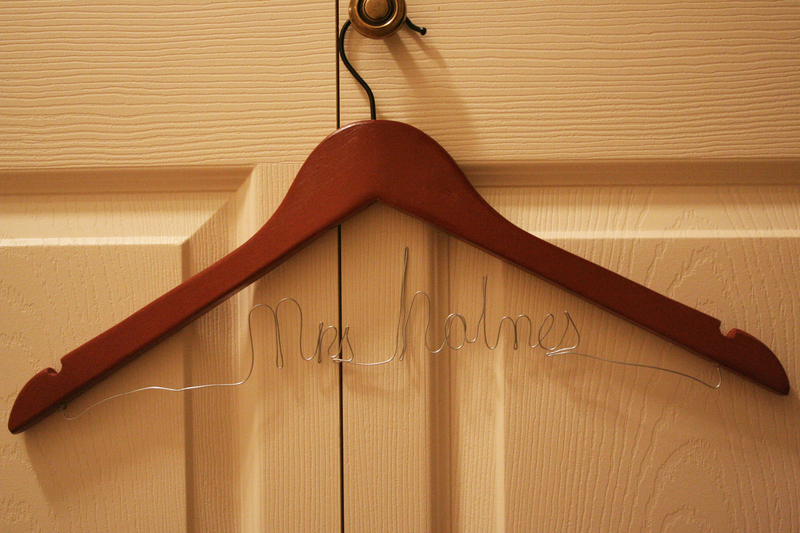 I love these personalized hangers! 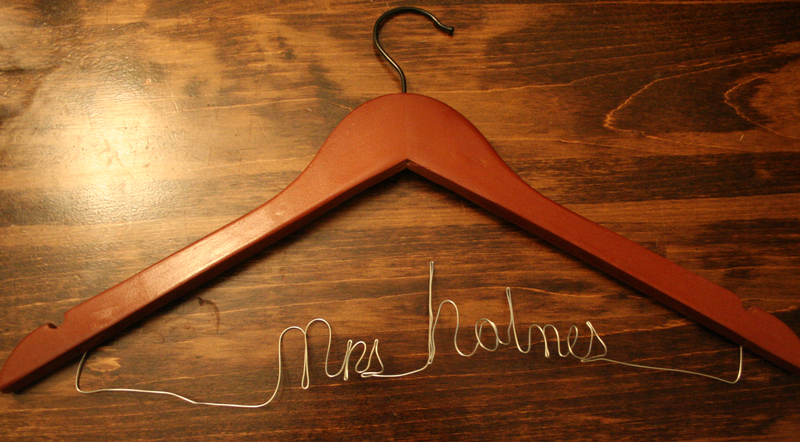 I can imagine my gorgeous dress hanging on a hanger that says my new last name! 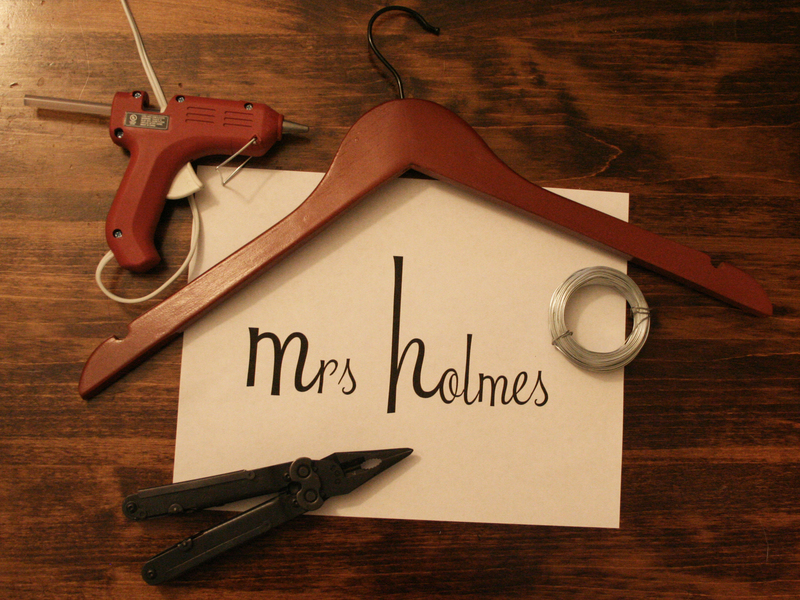 The first thing that comes to my mind when I see the price is, “I can do that for less!” I gotta say I spent a total of 7 bucks on this project so it’s definitely something a bride can do on any budget, AND they would make super gifts for your bridesmaids! 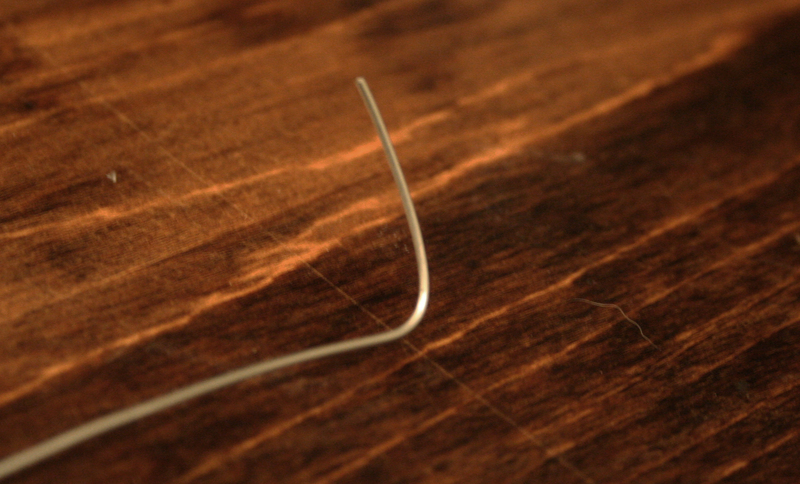 2) Wire, can be as thick as you want it to be, but remember, the thicker it is, the harder it is to work with. 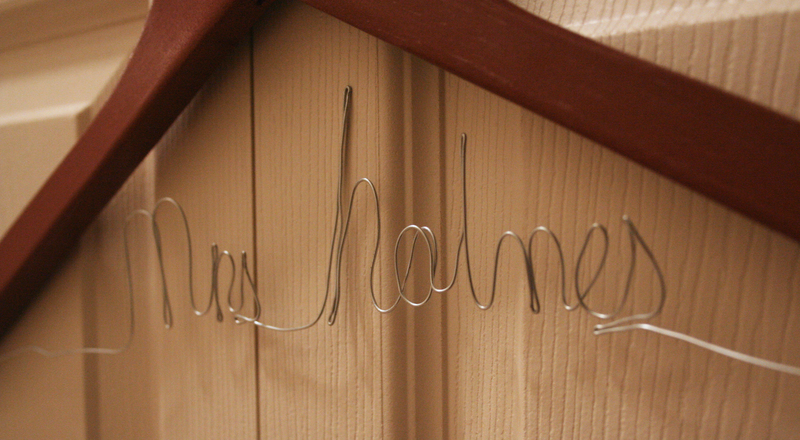 I used 20 gauge wire and bought 75 feet of it. You need about 5ft per name. 5) Needle nose pliers and wire cutters…a multi-tool takes care of both of these things, ask your man, he probably has one! 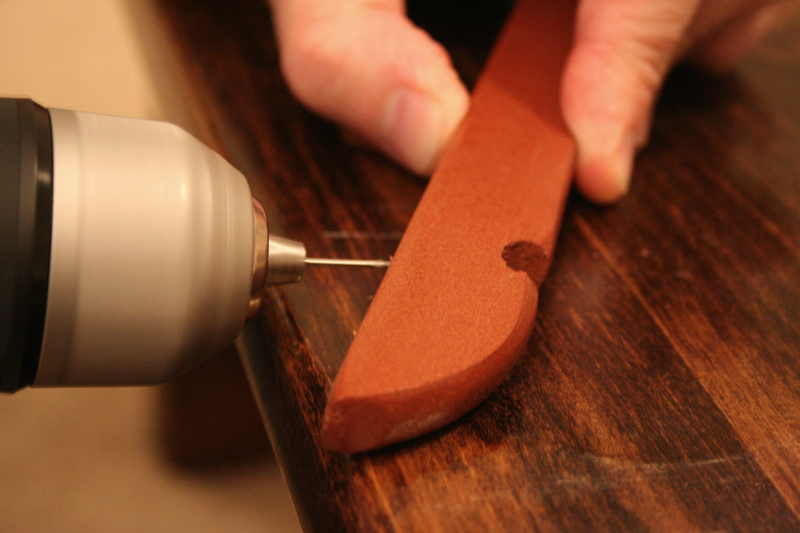 6) And not pictured here, you need a drill, with a bit size about the thickness of your wire. The wire needs to fit into the hole you drill, but fit snugly. And now we are ready to begin! First you want to measure out 5ft of wire. If you are going to write a long name, you might need more, but for about 8 or 9 letters 5ft is fine, more than that, add about 6 inches. Once you measure it out to the proper length DO NOT CUT IT. This is your safety net in case you use more than you planned. Instead bend the wire at 5ft so you know where you want to end. If you are going to do more than one of these, it’s good to use your first one to gauge about how much you’ll need. Now you are ready to begin bending and twisting! Measure 4ft from the beginning of your wire and this is where you will start (that’d be the end closest to where you bent your wire). 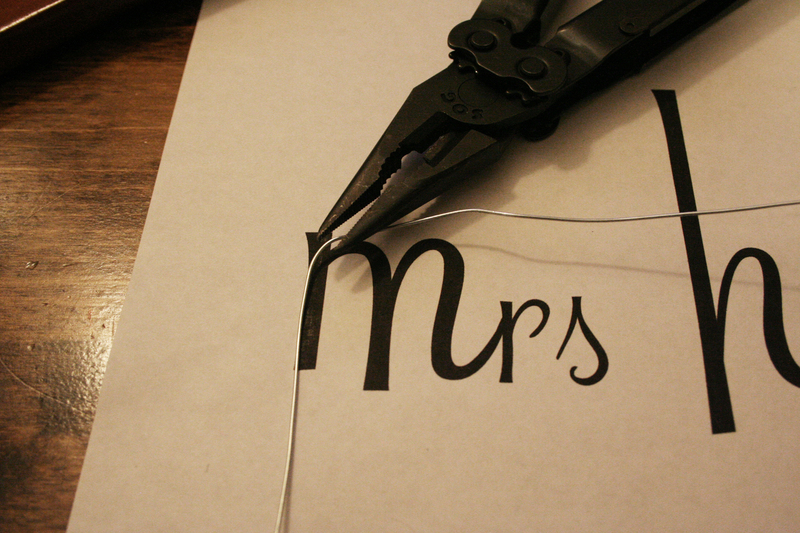 Place the wire on the paper and bend it to the shape of the letters. You can use the multi-tool to bend it, and I found it helpful at points, but mostly I used my fingers. If you got thicker wire, the multi-tool would be more helpful. Continue to bend and twist until you form all your letters. If you have two words like I do, you have to make a space between the words, probably about an inch is fine. Now you just need to snip the end off of the spool with enough to bend the wire ends up, probably only a half-inch bend. Line up the ends with your hanger, I used the notches that were already in the hanger as a guide. The hubs helped me with this one, because, well, I’m a pretty girl and can’t handle precise drilling work. I know that sounds sexist and I’m sure many of you out there are awesome with power tools, but I’m playing my girl card on this one. Make sure you don’t drill all the way through the hanger. Probably about a third of the way into the hanger is best. All that is left is to put your wire ends into the hole and make sure they fit. At this point I also heated the hot glue gun and glued the wire into the hole. I wanted to make sure the wire was secure. It is optional, but will probably become necessary if the hole is even slightly big. And you are ALL DONE! That was fairly painless wasn’t it? I personally loved bending the wire. I can’t wait to make more for my bridesmaids! Don’t be! Just use about 2 feet more wire and a smaller font. Since wire comes in rolls of 75 ft or more don’t be afraid to experiment! Good luck!